What is the most important film ever made? Not the best film ever made, that is an argument for another time, another place, and another bottle of wine, but the most important. The film that had the greatest influence. The film that changed cinema for the better. It’s a difficult question. There are many possible answers, there are probably just as many right answers as there are wrong. It’s also a rather subjective argument, maybe not as subjective as ‘the greatest film ever made’ but it’s right up there next to it. So in the kingdom of rightness where no one is wrong and all opinions are accepted, consider one film, Roberto Rossellini’s Rome, Open City, the most important film ever made. The Second World War signaled the end of the great modernist movement in both literature and film. A period where the cinematic greats of Lang, Chaplin, Bunuel, Murnau, and Cocteau went toe to toe against Becket, Joyce, Conrad, Woolf, and Eliot in a cultural fist fight. But the great modernist films, especially the more Avant Garde efforts of say Weine, Bunuel and Cocteau didn’t really change cinema. They’re filmmakers that remained on the outskirts whose influences today seem far lesser than their obvious cinematic achievements deserved. In “The Coin of the Absolute” (1998), the fifth chapter in Jean-Luc Godard’s Histoire(s) du Cinema film, Godard focused on the state of cinema both during and just after the Second World War. He lambasted Hollywood for making what he perceived to be commercial pro America propaganda films, but just as strongly as he criticized Hollywood he praised Italian cinema for its pursuit of the truth, in particular one film; Rome, Open City. 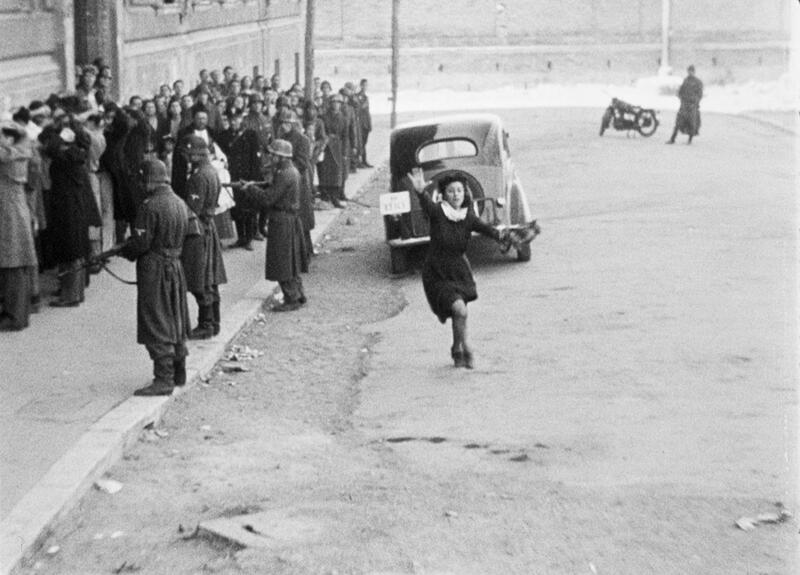 With Rome, Open City came the birth of Italian neo-realism, and the birth of high cinematic moralism. It is cinema’s answer to Primo Levi. It is the film that meant cinema was just as serious, just as vital as literature, just as significant. Rome, Open City, tells the story of occupied Rome in 1943, focusing on the small underground resistance that tried to sabotage the Nazis. Aldo Fabrizi plays the courageous priest who hides an on the run resistance fighter played by Marcello Pagilero. But it’s Anna Magnani’s Pina who is the very soul of the film, a pregnant working class mother who embodies the very image of Italy during the Nazi occupation. Rossellini was forced to shoot the film on the streets because Cinecitta, the main film studios in Italy was at the time being used as an army barracks. The film was significant in moving Italian cinema away from the fascist films that dominated Mussolini era, films that even Rossellini himself had made, such as 1941’s The White Ship, a state funded propaganda film about the Italian Navy. Godard said of Rossellini’s film in Histoire(s) Du Cinema, ‘Italy simply won back the right to look at itself in mirror.’ But the film went further than that, it gave cinema the right to look at itself in the mirror, and the reflection that shone back was something that reverberated around the world, not only changing Italian cinema forever, but changing cinema the world over. The French New Wave, the very embodiment of cinema looking at itself in the mirror was a movement that owed it’ very existence to filmmakers like Rossellini and films like Rome, Open City. Think of all the post WWII national film movements and try to imagine their existence without Rome, Open City. Think of the films of Andrej Wajda in Poland, the films of Miklos Jancso in Hungry, of India’s Satyajit Ray, England’s Ken Loach, Werner Herzog’s early German films, all the way up to the filmmakers that have made the contemporary Iranian cinema what it is today. It’s like trying to imagine the American folk music world without Woody Guthrie, yes we’d probably still have Bob Dylan, but would he have been as good if Guthrie hadn’t gone before him? Recent University graduate - Cinema is life and life is cinema. Does the most important film have to change cinema for the better? Or the world for the better? Because, if you’re open to it not being so, I’d say “The Birth of a Nation” is the most important film of all time. Now here’s two films, even if Godard’s is an epic inward look at cinema, that I have to see. Great post. Great look at this one! Hey There, I nominated you for the Liebster Award!